Due to the emergence of (semi-)autonomous vehicles and networked technologies in the automotive domain, the development of secure and reliable vehicles plays an increasingly important role in the protection of road users. Safe and secure road transport is a major societal and political objective, which is substantiated by the concrete goal of the European Commission to “move close to zero fatalities in road transport” (White Paper of the European Commission Roadmap to a Single European Transport Area—Towards a competitive and resource efficient transport system, 2011, page 10.) within the next three decades. One historically often neglected aspect of this objective in automotive system development is security, i.e., freedom from maliciously implemented threats. In the automotive software industry, model-based engineering is the current state of the practice. Instead of integrating security into the entire system development process, it currently tends to be an afterthought. Because of the tight interdependencies and integration of components, the consequences of gaping security flaws are grave. 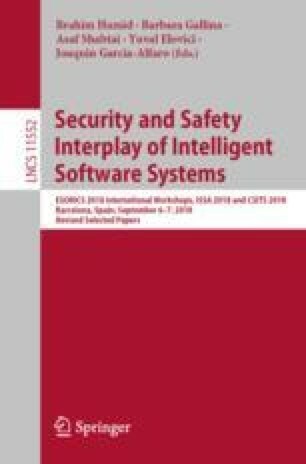 The contribution of this paper is a secure modeling approach enabling the automotive engineer to analyze the software system in the context of industrial model-based engineering in an early phase. The security modeling language specification is presented as a proposed annex to the relevant industry standard EAST-ADL, and therefore offers a common modeling approach for architectural and security aspects. All security extensions are in line with this standard and its meta level, which is shared with AUTOSAR. The security modeling language specification is demonstrated in a small modeling example, along with a formal evaluation which applies the Grounded Theory method to a set of expert interviews, showing that it is comprehensive and embraces even non-standardized pertinent research. Supported by the ZD.B and the BayWISS Consortium Digitization.